CozyWinters Blog - Page 8 of 12 - Heated Products to Warm Your Life. Don’t look now, but it’s that time of year again. The holidays are stressful enough in their own right, thanks to all the extra cooking, cleaning, shopping, and spending required to make it through the season. So when you add in a lengthy road trip complete with bad weather, traffic, and fidgety kids, it doesn’t take long for stress levels to skyrocket. Make sure your vehicle has been properly serviced and maintained. Of particular importance for winter driving are tire tread wear, tire pressure, battery condition, and the level of engine oil, antifreeze, and other critical fluids. Put together an emergency car kit for your trunk that includes jumper cables, a portable shovel, hand-crank radio, flashlight, blankets, a backup cellphone and charger, and bottled water. When heading to an unfamiliar destination, map your route in advance (even if you have a navigation system in your car) to get a general idea of where you’re going. If you anticipate heavy traffic, consider planning alternate routes as well. Make sure pets are restrained or contained in a way that is safe for them as well as for the human passengers. Pack healthy snacks and drinks to avoid unnecessary stops and minimize hunger-induced crankiness in children and adults alike. Eliminate arguments about the vehicle being too hot or too cold by providing each passenger with their own heated car seat cushion or travel throw from CozyWinters. We offer a variety of plug-in and battery operated warming products, including items for pets traveling with you. For journeys taking longer than one day, limit driving time to a reasonable number of hours to reduce driver drowsiness and the potential for accidents. In addition, be sure to take at least one planned break every 2-3 hours to allow all passengers a chance to get fresh air and stretch their legs. Holiday travel doesn’t have to be a nerve-wracking event that spikes your blood pressure to unprecedented levels and pushes your patience to the brink. Just follow the above tips so you can emerge from your upcoming family road trip with your sanity intact. This entry was posted in Heated Products, Winter Safety, Winter Tips on December 9, 2014 by Jim. Provide easy access to some kind of enclosed shelter – such as a barn, garage, or doghouse – that can offer protection from wind, snow, and freezing rain. Place a pet bed or plenty of clean, dry straw in the shelter to give your animal a comfortable means of warming itself. Consider using a heated dog bed or a hot water bottle for instant warmth on the coldest nights. Prevent drinking water from freezing in subzero temps by using a heated pet bowl or providing running water. Increase your pet’s daily food rations to compensate for the extra energy required to stay warm in winter. The actual amount needed depends on a variety of factors, including activity level, breed, and shelter conditions, so consult a vet for best results. Refrain from clipping, trimming, or shaving your pet’s coat until the weather warms up again. This will provide the animal with a natural layer of protection against the elements. 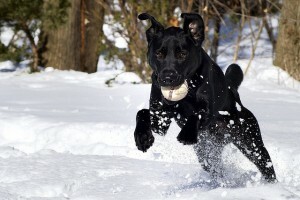 Bring your pet into your house when dangerous storms or unusually heavy snowfall are predicted. Dress smaller, more delicate dogs in a sweater or jacket before going out for a walk. If there is snow and/or salt on the ground, use pet booties to protect the animal’s tender paws. Keep walks and outings shorter than usual to help limit exposure to the elements. Do not leave pets in an unattended car for extended periods. Just as in summer, the effects of extreme temperatures are exacerbated within the confines of a closed vehicle. Keep animals away from antifreeze that has leaked and accumulated in garages or driveways. Antifreeze is tempting to dogs in particular because of its sweet taste, but is incredibly toxic to them. Surviving the various dangers posed by winter weather can be challenging for even the toughest outdoor pets. Make things easier on them by providing adequate food, water, shelter, warming products, and care throughout the season. This entry was posted in Heated Products, Pet Care, Safety tips, Winter Safety on December 2, 2014 by Jim. With Black Friday and Cyber Monday looming, it’s time for the annual CozyWinters Holiday Gift Guide. Here are some of our top-selling heated products of 2014 for you to consider as you jump into the holiday shopping season. Heated chair cover: With four heat settings, automatic shut-off, non-slip back, and a generous 72” cord length, this oversized heated chair cover is great for instantly warming a favorite recliner, rocking chair, or armchair. Rug heat pad: Banish chilly floors and cold feet with this portable heat pad. It fits under area rugs or carpets to provide warmth and coziness to living rooms, playrooms, TV rooms, and bedrooms. Pets love it too! Foot of the bed warmer: For some folks a full-sized heated mattress pad or electric blanket isn’t necessary for getting a good night’s sleep. Instead, they can take comfort in something as simple as an electric foot of the bed warmer to keep toes toasty without heating the entire sleeping surface. Heated dog pad: Even the hardiest dog breeds face health risks when kept outdoors in winter, which is why a heated dog pad from Lectro-Soft would make a welcome gift for the pet lover on your list. This pad uses very low wattage to produce life-saving warmth for pets staying in doghouses, basements, barns, and garages. Heated cat bed: A soft orthopedic base, removable heater, and washable cover make this heated cat bed an attractive retreat for even the most finicky feline. Heated pet bowl: If your dog’s water bowl consistently freezes over in winter, then this needs to be at the top of your wish list. The bowl comes with a chew-resistant cord and plugs into any standard outlet to keep water drinkable even when temperatures drop below zero. Heated stadium seat cushion: Football games, hunting blinds, camping, and other outdoor pursuits will be a lot more comfortable with our heated stadium seat cushion. 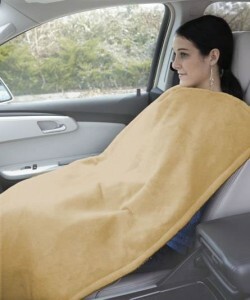 These lightweight, battery-operated pads heat to around 120 degrees and provide up to five hours of warmth per charge. All-purpose heated gloves: Three heat settings, adjustable neoprene wrist cuffs, and no-slip palms make these gloves ideal for a variety of light outdoor activities such as walking or shoveling snow. Boot & glove dryer: The skiers and snowboarders on your list will appreciate the convenience of this quick-working, four-pronged boot & glove dryer from DryGuy. It heats up enough to kill odors and dry garments in about an hour without getting so hot as to damage boot or glove liners. We also offer CozyWinters gift certificates in denominations ranging from $25 to $500, so head on over to our site right now to begin shopping for everyone on your holiday list. This entry was posted in Heated Clothing, Heated Products, Pet Care, Winter Products on November 25, 2014 by Jim. In addition to the above, using products such as heated mattress pads and electric blankets may also save money on winter energy bills by focusing heat on people instead of a whole room. For example, a heated mattress pad provides enough warmth and comfort that you can turn your thermostat down (or even off) overnight without disrupting sleep. One reason for this is that the pad directs heat upward, allowing it to warm your blankets and comforter as well as your body. Meanwhile, electric blankets can serve as portable sources of warmth for use in bed, on the sofa, or at your computer desk. 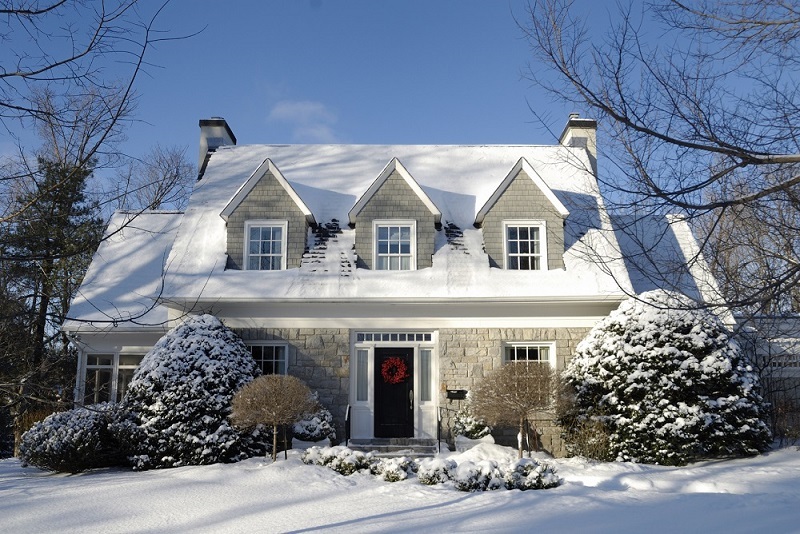 If you haven’t winterized your home yet, you may end up spending more on your energy bills to compensate. Instead, carve out some time to implement these tips so you can warm up without draining your bank account. This entry was posted in Heated Products, Winter Tips on November 20, 2014 by Jim. Outdoor work safety is a critical issue year round, but is especially important in the winter when snow and ice combine to make conditions even more hazardous than usual. Slip and fall accidents are one of the largest causes of workplace injuries, and can have devastating effects on health, morale, and productivity. The best way to prevent slip and fall accidents on outdoor surfaces is to increase traction on employees’ footwear with the help of removable ice cleats from manufacturers such as Yaktrax, WinterSmart, Get-A-Grip, and STABILicers. Buying ice cleats for every worker is too expensive. We understand that many businesses have budget concerns, but it just doesn’t make sense to cut corners where safety is involved. According to the Bureau of Labor Statistics, a single slip and fall incident in the workplace costs employers an average of $28,000 — which makes the volume discount price on ice cleats at CozyWinters look like an even bigger bargain! Employees won’t want to bother putting them on and taking them off. This concern, which is occasionally voiced by folks that need heavy-duty spiked ice cleats, is simply outdated. Many modern ice cleat models come with Velcro straps or easy-to-grip support rings and holes that make quick work of getting the cleats on and off. When safety is that simple, everyone benefits! Employees can just walk carefully. Many people think that they do not need safety equipment because they feel they can take care to avoid accidents on their own. However, this is simply not the case. While walking carefully and slowly is always advised in icy conditions, companies must take every precaution to promote the safety of their employees, but also to reduce company liability for potential injuries due to workplace injury. Employees can’t wear them indoors or while driving. Prevention is the best way to handle slip and fall accidents in winter, which is why the added traction of ice cleats is a must-have for outdoor workers. If you’ve been avoiding a purchase for your employees because of one of the excuses above, it’s time to change your mind and get with the (safety) program! This entry was posted in Ice Cleats, Winter Products, Winter Safety on November 10, 2014 by Jim. There are several benefits to wearing a pair of ice cleats if you work for an airport or government agency such as Parks and Outdoor Recreation or Waste Management. Did you know that this year more than one third of adults will suffer an injury due to falling on ice? These accidents also account for more than 25,000 missed days of work! Wow! If you currently work on a tarmac at an airport or for Waste Management or another government agency, there are a few things you can do this season to ensure your own safety. We have put together a small safety checklist that includes learning to walk like a penguin, using the proper equipment, and knowing the difference between young and mature ice. Pay close attention to others around you during colder months, you’ll probably notice that some are more adept to walking on ice than others. People who have grown up or lived in an icy environment for an extended period of time have learned to walk like penguins and as a result fall less than others. To walk like a penguin, simply shift your center of gravity to your front facing foot instead of splitting it evenly between both feet. A durable pair of properly fitting ice cleats are instrumental to your success on the ice! Ice cleats will give you more gripping power while working on the tarmac or out on the ice this year. Before ordering a pair of ice cleats, talk to other contractors and government employees to see if they would like to order a pair too! We have bulk pricing on high quality ice cleats that will help both you and your coworkers from slipping on the tarmac during below freezing temperatures. Less slipping means fewer injuries! Did you know that there is a right and wrong way to fall? If you learn to fall the right way, you’ll be less likely to injure yourself. As soon as you think you are about to fall, tuck your chin against your chest, wrap your arms around your head and try to fold your body into itself. Next, quickly roll onto your back and exhale powerfully or shout to absorb as much of the impact as possible. Trust us, the fall will hurt less! Whatever you do, do not try to break your fall using your arms! It’s also important to know what type of ice you’re working with and if it’s safe to cross. Look for clear ice, it’s usually newly formed and stronger than older ice formations. If you’re in an area where ice has formed over running water, don’t cross! This is very dangerous! Lastly, always remember that the thickness of ice tends to vary, one area may be two feet thick while another area is less than two inches thick. There are several charts available online to use as a guide, we recommend printing one out and bringing it with you. How do you protect yourself on the ice? Share your answers with us in our comments section or on Facebook! We would love to hear from you! This entry was posted in Ice Cleats, Winter Products on October 6, 2014 by Jim. What to Pack for Winter Vacation: Snow Cleats, Gloves, Electric Blankets and More! Are you planning to take a trip this winter to your cabin in Colorado? There are several benefits to owning a property located in the mountains, especially if your permanent residence is located in an area where it’s sunny and 90 degrees throughout the year. However if you are accustomed to warm and sunny weather, you’ll need to pack the essentials like a pair of snow cleats, gloves, electric blankets and more. If you’re not sure of what else to pack for a snow property vacation, don’t worry, we’ve compiled a small list of a few essentials that you will not want to leave behind. An electric blanket will require extra room in your suitcase, but you’ll be glad you brought it! If you’re worried about the amount of electricity an electric blanket will use while you are visiting your snow property, don’t worry! Modern electric blankets use very little voltage to operate and you’ll stay warm all night without the bulkiness of another comforter. 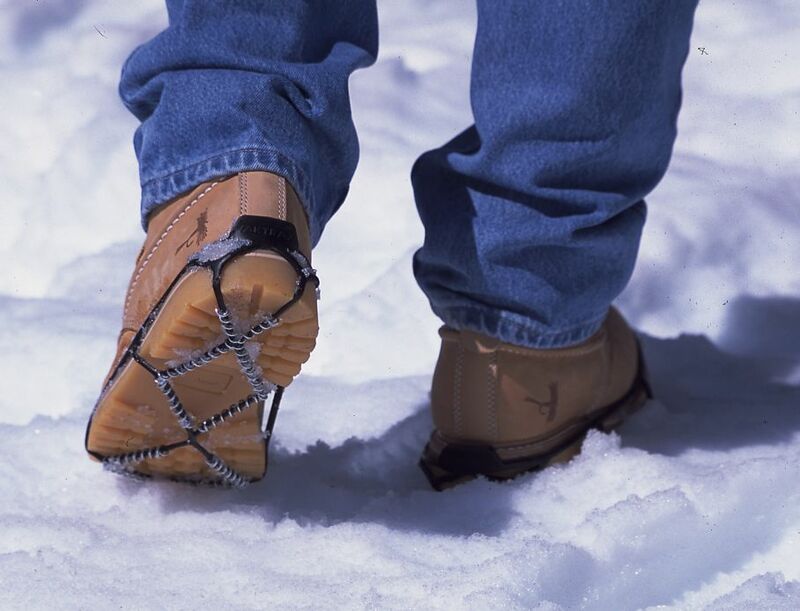 A proper fitting pair of snow cleats are a must have if you own a snow property! They’ll come in handy if you’re having to perform maintenance around the property or if you plan on spending the majority of your time outdoors walking around town. Snow cleats have a bad reputation of being bulky and a pain to wear however there are several streamlined designs from name brand manufacturers like Get-A-Grip, Yaktrax, and Wintertrax. If you’re looking for even more traction while completing your honey-do list, check out an over-the-shoe style from STABLicers. The socks you pack should not only be made of a dry-fit material, but should also be thin. We know this seems counter intuitive but we have very good reasoning for it. A dry-fit pair of thin socks will keep your feet warm and dry while out in the snow and you’ll be able to better avoid uncomfortable blisters. You can also better layer thin socks if you need extra cushion. 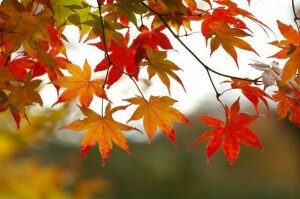 The cold weather is naturally dryer and is therefore much harsher on our skin than warmer weather. In order to combat skin irritation, we recommend applying a thick moisturizer to your skin throughout the day. If you have a moisturizer that you commonly use at home, it will probably be too thin for cold weather and you will likely want to pick up a thicker moisturizer at your local drug store or department store make-up counter. We know that you’ll stock your snow property with plenty of food while you’re there, but don’t forget to also pack on-the-go snacks. Why? For starters, you’ll never know when you will need a pick-me-up while out on the mountain, whether you’re repairing the house, hiking, or skiing. Having a small snack here and there will also help you fight off altitude sickness. We recommend buying trail mix, granola bars, protein bars or dried fruit. Don’t forget to pack plenty of clothes that you can layer for warmth! What do you pack when you vacation in the mountains? Share your essentials with us in our comments section or on Facebook! This entry was posted in Ice Cleats, Winter Products on October 3, 2014 by Jim. Safety is often times the number one core value of trucking companies, no matter what industry they serve. In order to carry out this value, it’s important for truck drivers to be prepared at all times, which requires them to have all of the necessary equipment and tools. What do truck drivers need in order to perform a job safely and efficiently? Believe it or not, one of the most important items for a truck driver to have is a pair of ice cleats. Why are ice cleats important? They will improve a truck driver’s traction and balance on ice and snow, and will ultimately increase your safety on the road. A proper fitting pair of ice cleats are required by most trucking companies and even if they are not required, it’s never a bad idea to add a pair of ice cleats to your closet if they will help prevent you from slipping and falling. Did you know that the third largest cause of workplace injuries are slip and fall accidents? Yikes! If you are a trucking company investigating the benefits of an ice cleat requirement, you’ll find that there are several. For starters, you’ll see a reduced amount of Worker’s Comp claims from employees because they will be less likely to injure themselves while on the job. You also might see a reduction in insurance policy costs because ice cleats typically comply with insurance standards. A major reason why truck drivers (And really anyone) resist wearing ice cleats is because they feel like they are not very versatile. However if you browse our large selection of ice cleats you will see that they have come a long way since their humble beginning. Get-A-Grip manufactures a pair of ice cleats that easily attach to casual, dress, and athletic wear. You’ll hardly notice that you have them on! If you’re on the road with your kids during winter vacation, don’t forget to pick up a pair of ice cleats for them too. We have several well-fitting options to choose from. In addition to packing a pair of ice cleats for when you’re traveling on the road for work, we also recommend bringing cooler for fresh food and water, a basic tool kit and a roadside emergency kit. What items do you bring along with you on the road? Share them with us in our comments section or on Facebook! This entry was posted in Ice Cleats, Winter Safety on October 1, 2014 by Jim. Daytime temps are perfect for most every kind of outdoor activity imaginable, from hiking and picnicking to biking, flying kites, and exploring new neighborhoods on foot. Meanwhile, cooler nighttime temperatures yield ideal sleeping weather, particularly with the aid of a heated blanket later in the season. Let’s face it: baseball hasn’t been “America’s pastime” for at least a decade now. These days, it’s all about college and pro football, so whether you prefer partying with a huge crowd in the student section at a university stadium or cheering on your hometown NFL team from the comfort of your La-Z-Boy, you’ll rejoice in the fact that football is back. It’s finally time to bid farewell to the perpetual reruns and terrible reality shows that make up the bulk of summer television programming. Fall marks the return of regular cable and network TV schedules, which means fresh episodes of your favorite sitcoms and dramas, as well as a whole slew of new series to get addicted to. Keeping fit enough for a typically revealing summer wardrobe is hard work, which is why most of us feel a great sense of relief when we can start wearing blazers, sweaters, and other clothes that hide our imperfections while still presenting a flattering appearance. Winter is obviously our favorite season, so perhaps the very best part of fall for us is the fact that we’re a couple months closer to long weekends of winter sports and activities in our heated vests, battery-heated gloves, and boot warmers. This list covers a mere handful of the many benefits and pleasures associated with fall. As you enjoy what the season has to offer, don’t forget that now is the time to start gearing up for winter. We recommend stocking up on heated clothing and related accessories right now to ensure you’re ready for the cold and snow that’s just around the corner. This entry was posted in Fall, Heated Products on September 23, 2014 by Jim. With autumn quickly approaching, the nights will soon be cool enough to warrant use of an electric blanket. Whether you intend to purchase a new full-sized electric blanket, travel-sized electric blanket, or heated throw from CozyWinters or simply pull an existing one out of summer storage, here are some tips on how to clean it before use. Nothing beats the feeling of snuggling up with a warm electric blanket on a cool autumn night. Follow the above steps to get your blanket looking and smelling as fresh as possible before you put it into use for the season. This entry was posted in Heated Blankets, Heated Products, Winter Products, Winter Tips on September 9, 2014 by Jim.